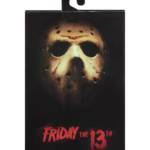 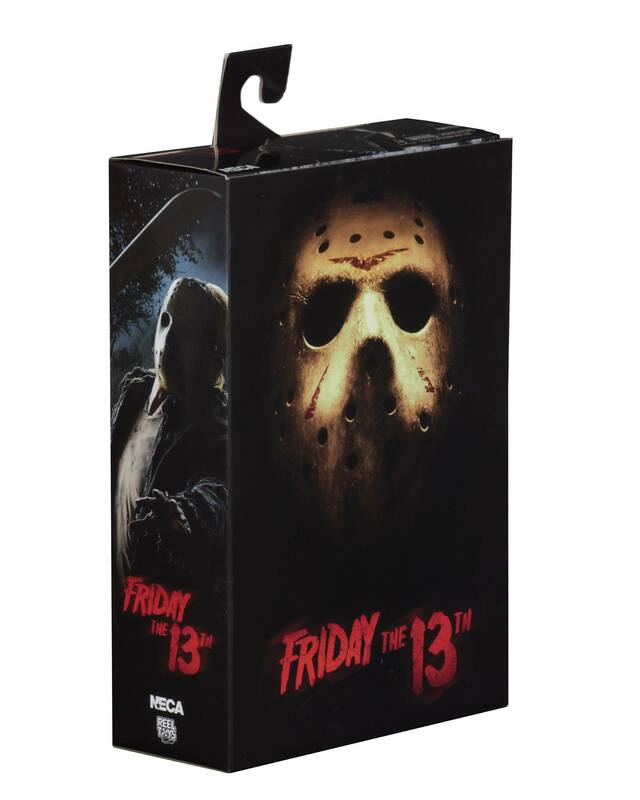 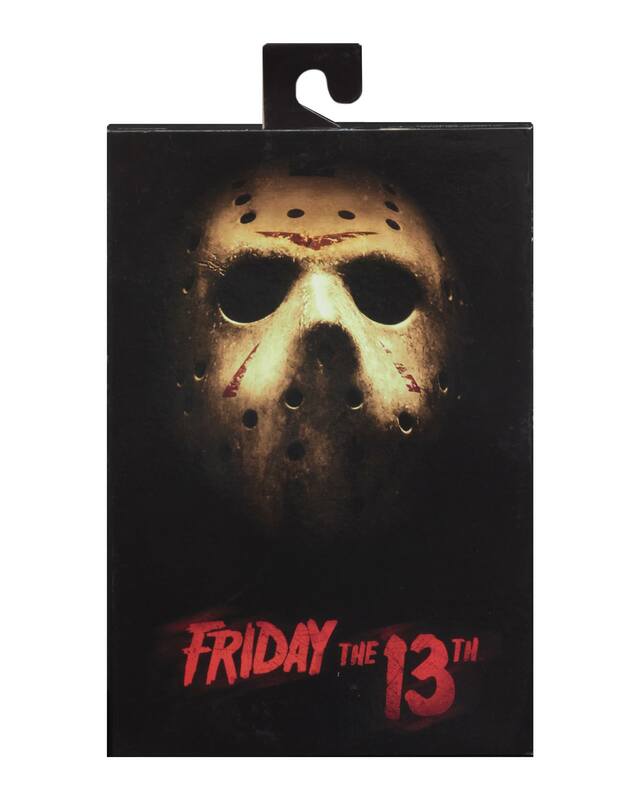 NECA has released final packaging photos for their upcoming Friday The 13th 2009 – Jason Voorhees Ultimate 7″ Scale Figure. 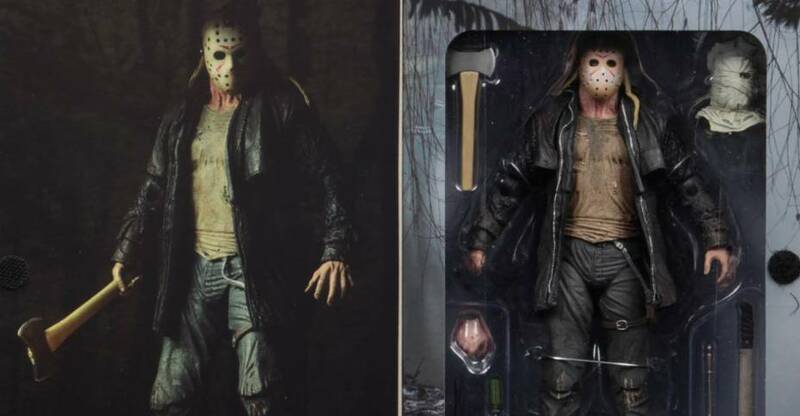 The figure is being released to celebrate the 10th anniversary of the 2009 remake, which has gained a nice cult following in recent years. 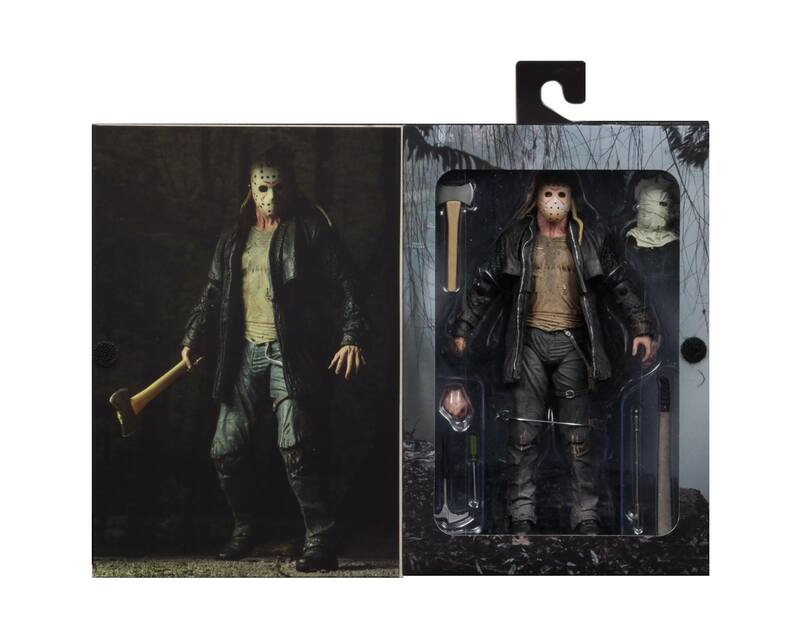 The figure includes a portrait with a removable hockey mask, a swap out bag-head portrait, an all-new articulated body, a machete, an axe, a fire poker, a hammer and a screwdriver. 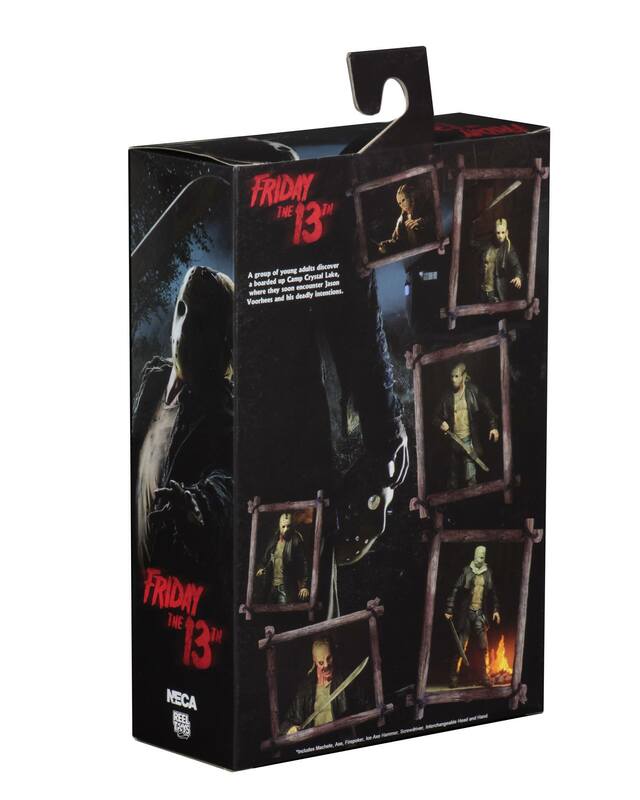 The figure also has a sheath for the machete. 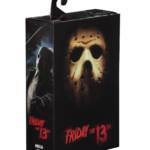 Look for the figure to be released in the second quarter of the year. 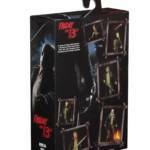 See the packaging photos after the jump.